As an enterprise, are you spending too much on diabetes? Unless you are offering your employees the opportunity to participate in a Centers for Disease Control and Prevention (CDC) recognized Diabetes Prevention Program (DPP), you almost certainly are. Diabetes is among the most costly and devastating conditions in the nation’s healthcare system. It affects over 30 million Americans, and accounts for $327 billion each year in medical costs and lost productivity for businesses. As an employer, you are footing a significant part of the bill, but these costs are not inevitable and can be prevented. Over 90% of diabetes cases are type 2 diabetes. Type 2 diabetes usually develops as the result of lifestyle choices, and it is largely preventable with simple choices to lead a healthier life. In a landmark clinical trial among patients with prediabetes, participants who were assigned to engage in a lifestyle change prevention program lowered their risk of developing type 2 diabetes by an average of 58% compared to a control group. The focus of that lifestyle change program was simple, focusing on losing weight and increasing participant’s physical activity levels. The results were so successful that it is now in the national spotlight. Enterprises nationwide are implementing CDC-recognized DPPs. Are you budgeting for your DPP? A DPP can lead to lower diabetes rates and costs, and save you hundreds, if not thousands, of dollars per participant. 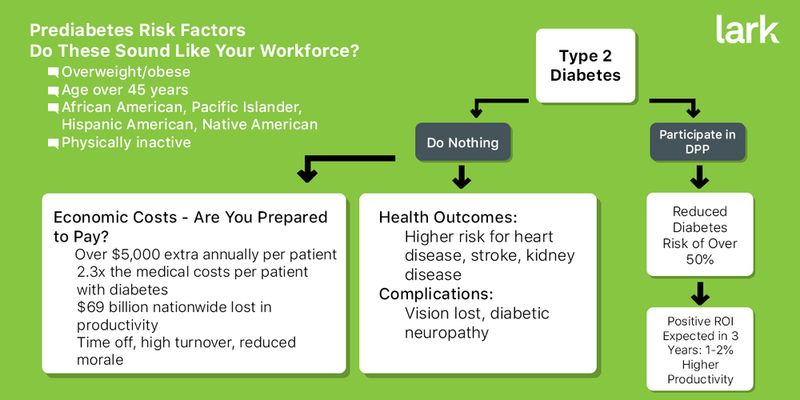 On average, employees with diabetes spend $9,600 per year on diabetes related needs, many of which are covered by work-provided healthcare plans. Implementing a DPP in your organization is critical in lowering the costs of the healthcare expenses of your employees. Now is the time to beginning planning your budgets to include DPP to help create healthier, lower-cost employees within your enterprise. Learning about the following common challenges to implementing a DPP, and their solutions, may give you the push you need to get started. Can you afford to implement a DPP for all of your employees? Any “prevention” program sounds risky, since you must pay for the program before participants develop the disease. Are you still skeptical that your own employees are at such high risk for type 2 diabetes and the associated costs? Consider that 1 out of 3 American adults have prediabetes, and 70-90% of those will develop type 2 diabetes within a few years. Let us now translate those numbers into dollars. Each patient with diabetes incurs average medical costs of $13,700. Of that, $7,900 is due to diabetes. In contrast, the average per-participant cost of delivering a DPP is $500. You can expect the average DPP to yield a positive ROI within 3 years, with savings growing over time. Planning for the program, including preparing the curriculum and hiring staff. Resources for preparing and submitting initial and ongoing paperwork to the CDC. Salaries of lifestyle coaches and a Program Coordinator, as required by the CDC. The logic is simple: a program will not work if its participants do not participate. That can leave you paying a lot and getting nothing back for your money as your employees continue to develop diabetes and rack up healthcare and lost productivity costs at the same rate as they have been. Lack of engagement and retention is a valid concern. The DPP is a year-long program that includes a minimum of 22 sessions, including 16 lessons in the first 6 months of the program. Your employees may even be asked to attend meetings every single week for months. Employees who are on the fence about their prediabetes and who may not yet be dedicated to weight loss and exercise may not be willing to go to such lengths to participate in a DPP. Even employees who are motivated to change their lifestyle to prevent type 2 diabetes may have hesitations about such meetings. The time and cost to travel to group sessions and find parking. 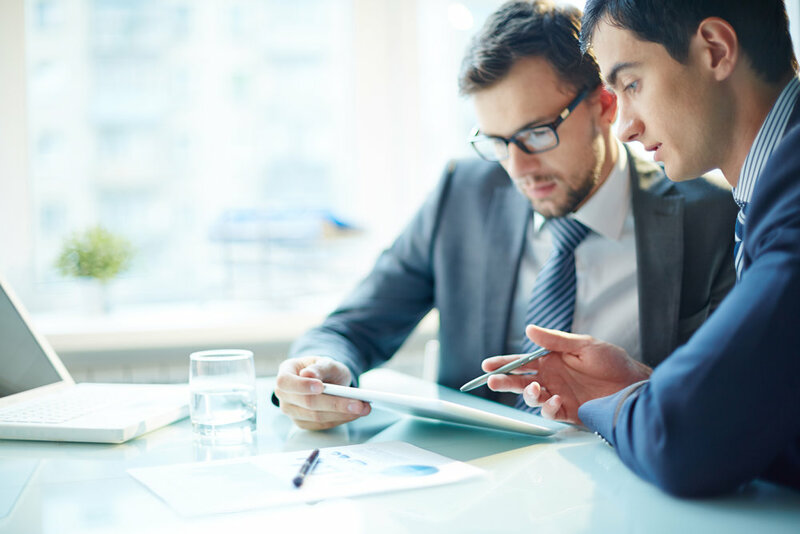 Meeting times that are inconvenient or that conflict with employees’ schedules. Meetings that can be tiring after a long day at work. Negativity such as feelings of stigma, shyness, or judgement from the coach or DPP peer participants when weighing in at each meeting or discussing personal challenges in a group setting. As an employer, a virtual DPP can lower costs in a few ways. You do not need to pay for the venue or other facility costs. Also, the program is scalable, so as you expand it to more employees, there are no overwhelming additional costs – or inconveniences - such as those of hiring more lifestyle coaches or staff. Check the fine print as you search for an online program. Most “online” or “virtual” programs have actually hybrids in that they have some degree of live coaching. A potential drawback to this model is a limit on availability, since the live coach is not likely to be available 24/7, nights, and weekends. Plus, costs to you can be higher, since scaling up participation also means scaling up the amount of staff that are ultimately hired. For many, the unknown is a barrier. How do you get started? How do you know which employees are eligible for the DPP, and how to get reimbursed for hitting which milestones? How do you address logistics such as signing up participants, getting them to weigh in as required by the CDC, and making sure each employee receives the DPP in a personalized manner? An easy solution is to choose a DPP that promises to help you out. Lark Digital DPP delivers a wireless scale to each participant, so weigh-ins are automatically synched. Their customer support team helps identify and verify eligible employees, and uses innovative strategies to enroll them. Finally, performance-based billing should ease your worries about costs to your organization. You may already know that you should offer a DPP to your beneficiaries, and not only because promoting health and wellness is the right thing to do from an ethical perspective. It is also the right thing for your bottom line.